Achieving change through other people: the laws of physics do not apply. I have just been in my first days of Outcome Mapping training and very enjoyable it was too. 1. 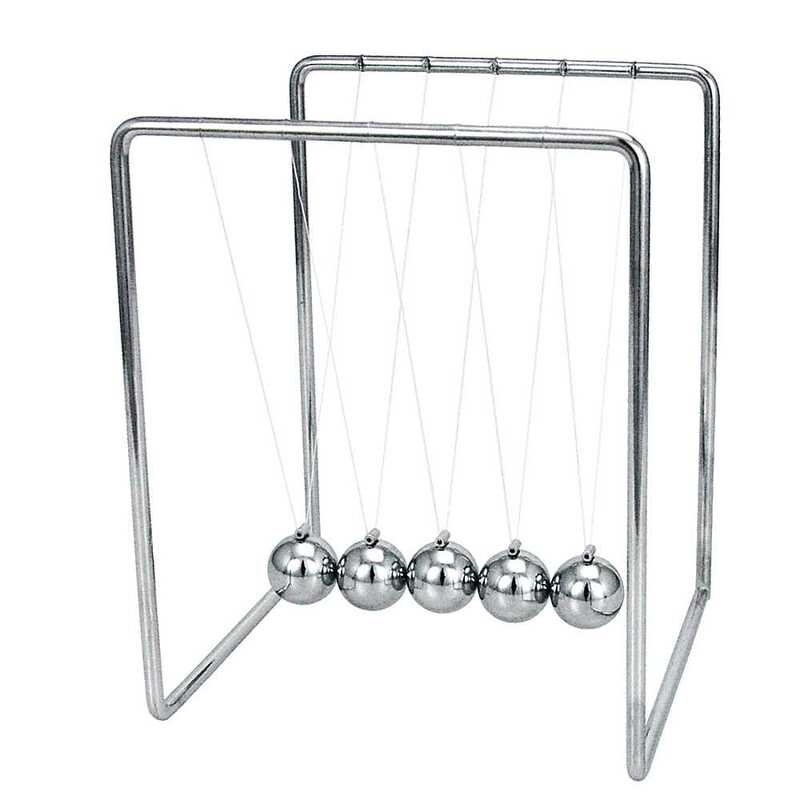 Our research-for-development interventions are not like Newton’s Cradle. Do you remember that executive toy with the suspended steel balls? As one hits the other the kinetic energy is passed along to the last one which swings out. Et voila! 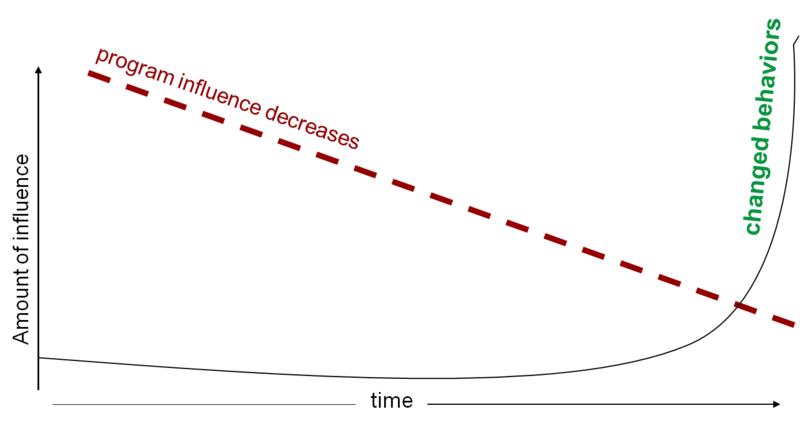 Input-activities-output-outcome-impact and the ball swings out. But people are not like that. If I want to get a rock into the far corner of the room, all I need is a good aim and the right amount of energy and I can deliver. If I want to get a bird into that corner, things are much more complicated*. And people are birds not stones. They bring all their past baggage (Grandma’s warning “Never go in the corner”) so you can make that corner light and warm and tempting, add food and money and other incentives but the only way you can guarantee that your bird will go in that corner is to close off other options. And that is unethical so it is not an alternative. Spot the difference: rock or bird? 2. People don’t progress in straight lines. Terry-our-trainer presented a useful idealized figure of how during a project lifetime project influence should go down while community ownership should go up. It is a good reminder of a general principle but not to be taken at face value. We know that change is often cumulative with tipping points. So you could have a situation where ownership remains consistently low, and then one day, someone in the community suddenly has a flash of inspiration and says “We can use what these researchers are doing to improve our lives. And here is how!” From that day on, the ownership line starts to soar. This could be at the end of the project. Or even after the project has finished, in which case it would look like your project had failed. Conversely, the ownership line could progress as ‘planned’ gradually incrementing in a neat line. But maybe there is a tiny but necessary contribution from the project without which the ownership can’t be sustained and shortly after the project ends the ownership plummets. Or, since ownership is talking about people, you could have a situation where it goes up and down: one of the main champions is sick or has to travel, someone comes in with unbridled enthusiasm then loses some energy as she goes along.